The type of intended flying influences what type of pilot’s certificate is required. Eligibility, training, experience, and testing requirements differ depending on the type of certificates sought. [Figure 1-20] Each type of pilot’s certificate has privileges and limitations that are inherent within the certificate itself. 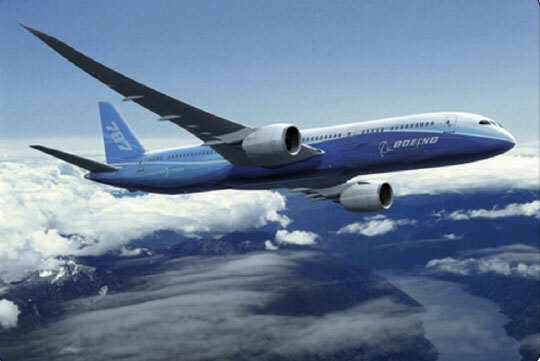 However, other privileges and limitations may be applicable based on the aircraft type, operation being conducted, and the type of certificate. For example, a certain certificate may have privileges and limitations under 14 CFR part 61 and part 91. Figure 1-20. 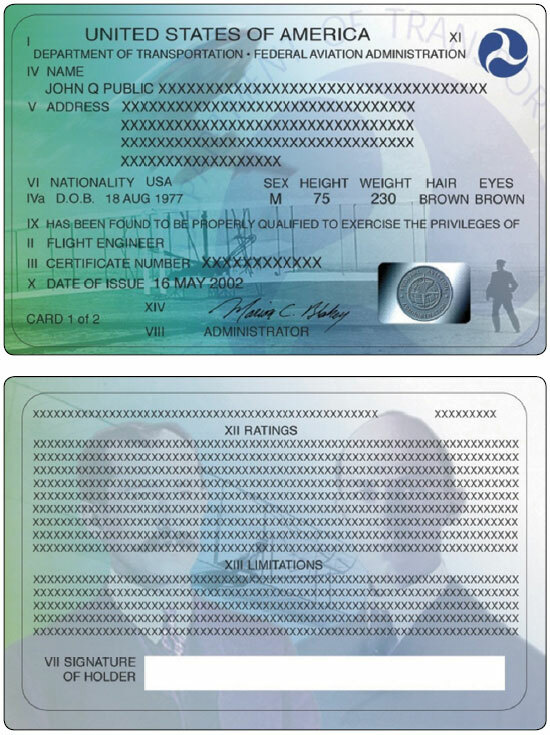 Front side (top) and back side (bottom) of an airman certificate issued by the FAA. Privileges—define where and when the pilot may fly, with whom they may fly, the purpose of the flight, and the type of aircraft they are allowed to fly. 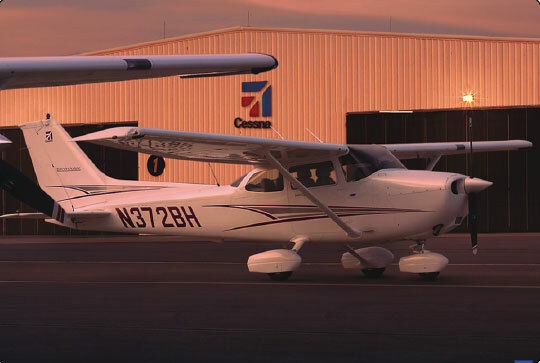 Limitations—the FAA may impose limitations on a pilot certificate if, during training or the practical test, the pilot does not demonstrate all skills necessary to exercise all privileges of a privilege level, category, class, or type rating. When operating as a sport pilot, some of the following privileges and limitations may apply. The sport pilot certificate does not list aircraft category and class ratings. After successfully passing the practical test for a sport pilot certificate, regardless of the light-sport aircraft privileges you seek, the FAA will issue you a sport pilot certificate without any category and class ratings. The Instructor will provide you with the appropriate logbook endorsement for the category and class of aircraft in which you are authorized to act as pilot in command. Meet the aeronautical experience requirements in either a single-engine airplane, a helicopter, or a gyroplane. As a recreational pilot, cross-country flight is limited to a 50 NM range from the departure airport but is permitted with additional training per 14 CFR part 61, section 61.101(c). Additionally, recreational pilots are restricted from flying at night and flying in airspace where communications with ATC are required. When operating as a recreational pilot, some of the following privileges and limitations may apply. • A recreational pilot may not act as PIC of an aircraft that is certificated for more than four occupants or has more than one powerplant. Figure 1-22. 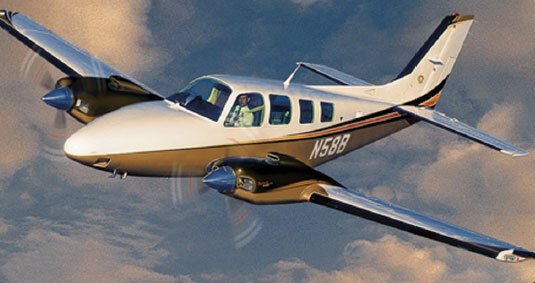 A typical aircraft a private pilot might fly. A commercial pilot may be compensated for flying. Training for the certificate focuses on a better understanding of aircraft systems and a higher standard of airmanship. The Commercial Pilot Certificate itself does not allow a pilot to fly in instrument meteorological conditions (IMC), and commercial pilots without an instrument rating are restricted to daytime flight within 50 NM when flying for hire. Figure 1-23. A complex aircraft. Figure 1-24. Type of aircraft flown by an airline transport pilot.